100% of proceeds from book sales are donated to humanitarian efforts. Get FREE Bigger Than Me Study Guide Questions! Reflections and lessons learned from a successful businessman on faith, dying, self-absorption, money, solitude, legacy, and the kitchen sink. Bigger Than Me is a collection of refreshing candid reflections on the important things in life. Having reached his own definition of success Brehm realized he was spiritually empty. He shares compelling experiences with money, ego, death, the cyclotron of busyness and provides a compelling series of apologetical essays on faith that is targeted towards those who have turned their back on religion. 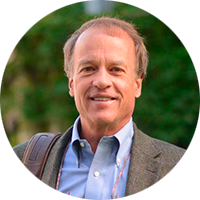 "Ward Brehm is an extraordinary individual who brings keen business acumen and a big heart to his work on behalf of the world’s most vulnerable. Bigger Than Me is a must-read." "My friend Ward Brehm took a long and circuitous route to find the position of 'Jesus plus nothing.' He has nearly arrived. I have read and heard literally hundreds of testimonials, but Bigger Than Me is the most Spirit-filled one I have read." "Bigger Than Me demonstrates many ways each of us can be enlightened and self-explore with God being at life’s center." "Ward weaves a compelling story about his transformational journey, and there are many important lessons to be learned here. His experiences and lessons learned have great relevance for anyone interested in leading a well examined life. I strongly recommend reading this book, Bigger Than Me." "Bigger Than Me is a transparent self-assessment of a man who is making a big difference in Africa. This is a book that will provide spiritual and practical guidance for those looking for the something that is missing on what ought to be fulfilling lives." "Ward Brehm has transformed my thinking and work at Opportunity International by allowing me to share his journey to a more vibrant and meaningful life filled with purpose, adventure, and contentment. Bigger Than Me explains the message of stewardship and intentional living and is the guidebook for creating a richer, fuller life focused on things that really matter." "I never knew the old Ward Brehm, but I love the new one—the one who writes as he lives. He’s funny, compassionate, turbo-charged, self-giving, generous, and occasionally deep! I love his low tolerance for religion and facades but high tolerance for authentic wrestling with the big issues. This book is his written DNA, expressed winsomely and movingly through the various crazy encounters that came about as he ditched religion and started following Jesus—the One who promised life to the full." "Bigger Than Me is a great read! Deep in content and compulsively readable. All the elements of a life lived in full are here, including being a self-described jerk, an authentic journey of faith to Jesus, deeply revealing self-reflection, great quotes that you’ll want to remember, and the centrality of surrender in reference to faith. Ward has a deftness of touch that leads to a most satisfying reading experience and ends so appropriately with thoughts on gratitude. I highly recommend this book." "Ward’s book Bigger Than Me strongly exhorts us to lead with love and to earn the right to be heard. Ward has led a life of love, and he has certainly earned the right to be heard. So dive in to Bigger Than Me. You’ll not only enjoy it but also be challenged by it." "With humility, humor, and a sense of service to others, Ward Brehm tells his story, which ranges from Minnesota and business success to walking among tribesmen in rural Africa and entering the deepest halls of power in Washington, DC. Along the way, he found his purpose and now delivers his message. Take the ride." "If you hang out with Ward Brehm long enough, you know you are with a genuine, fun-loving knucklehead who loves Jesus. And if he was a jerk in his youth (his description), you know for sure he is certainly a redeemed one who loves God, his family, friends, and most certainly the poor. Bigger Than Me is an honest story of one person’s journey in discovering Jesus in a relevant way. I am inspired by Ward’s story but even more inspired by the man." "Bigger Than Me is a wonderful reflection on faith and its power to transform lives. I came to know both Ward and his wife, Kris, as they faced large medical adversities. This inspiring treatise on the virtues of faith, hope, and charity (love) is a joy to read." "Planet Earth offers a whole lot, but none of it compares with a closer walk with Jesus. My friend Ward Brehm knows both. He also knows that the pursuit of faith can be blocked by our own baggage and worldly attractions. In Bigger Than Me, he knocks down the barriers a chapter at a time." "I saw myself in Ward’s story, as I think many people will—the death of a parent, a crisis of personal meaning and faith, a desire to serve, the struggles and triumphs of family, and ultimately one’s own life journey. But above all, Ward’s story is an unwavering, optimistic belief in the inherent good of people in the world and their need to connect with you as an equal—to see and be seen. Both big and small, human and global, intimate and universal, he tells a story that is in equal parts personal and profound." "Bigger Than Me is the moving testimony of an American “big dog” who thought he had life all figured out—until, that is, he met some people in Africa who had nothing and had life figured out a lot better than he did." "Ward’s life is a remarkable example of personal growth and transformation, and through it he has touched many lives. Bigger Than Me is a wonderful story about finding God and walking with Him." "Bigger Than Me is a refreshing book about faith that looks at the perplexing whys in life but doesn’t preach. It’s an easy read, yet I often stopped to ponder key answers. This book will help you remember and see purpose in the big and small, happy or tough events in your own life." 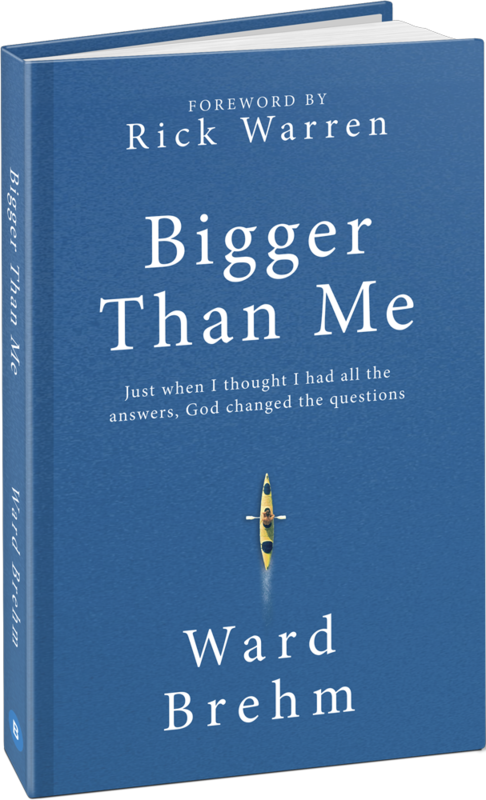 "Ward’s sharing of his faith journey in Bigger Than Me challenges us to quit following dime-store maps and instead reorient our lives so we can discover and fulfill our God-given purpose." "Bigger Than Me is a fascinating personal story based on authentic realworld experience and candor. It offers wisdom and inspiration for those seeking to live a purposeful life in a complex and perplexing world." "Ward Brehm is the pastor to his pastor! If I put into one place all his words of comfort, wisdom, and challenge to me over the years, it would become this book, Bigger Than Me!" "If you are blessed, truly blessed, someone will show up and completely change your perspective on life. Ward Brehm was that someone for me. One night, during a trip to Rwanda, Ward looked at me and said something simple yet transformative: “We spend the first half of our lives seeking prosperity, and if we’re lucky, we spend the second half seeking purpose.” Reading Bigger Than Me, you can’t help but be inspired by the story of an everyman who broke loose from his comfortable surroundings and found his purpose in a continent far away." "Bigger Than Me is really a travel book. In moving terms, it documents one man’s faith journey—the twists and turns, the ups and downs, the unexpected adventures. With every step and with every adventure, Ward becomes a better man, and I found myself challenged to reflect on these most important lessons." "When the “shoes” that Ward’s book sews fit you, wear them. You will be better for having done so, even the uncomfortable ones." Former CEO and chairman of Cargill Inc.
"'Seek and ye shall find.' 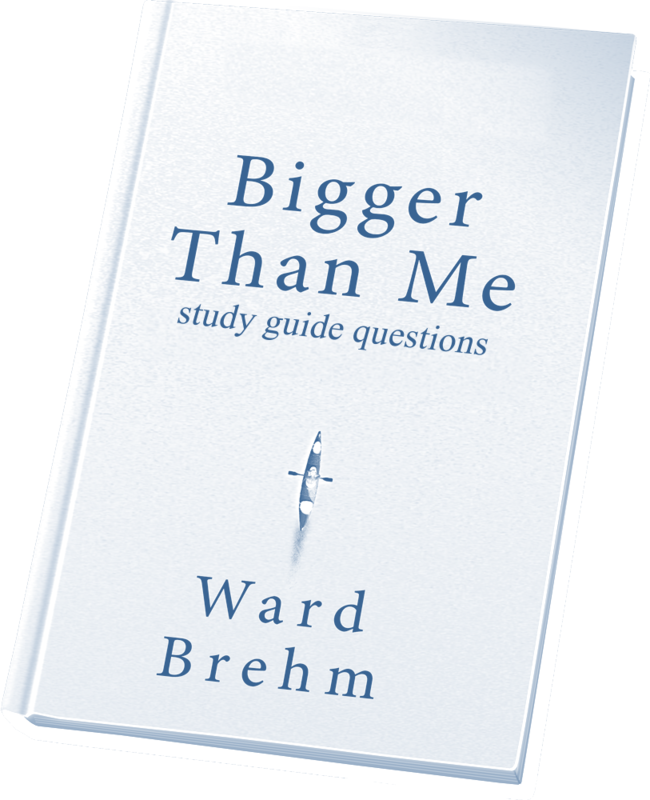 Ward Brehm’s inspiring book, Bigger Than Me, tells us not to listen for God’s booming voice but to examine our life’s journey and find His hand. Ward never preaches, but his examples of joy from giving of self certainly qualify him as a spiritual guide. He is a seeker who has found a great deal from which we can learn." "I never get tired of stories about God taking someone on a 180-degree turn toward His purposes. That’s Ward Brehm’s tale in Bigger Than Me. A reformed “jerk” who learned to stop living for self and success, Ward found deep significance in following Jesus to care for the “least of these.” There’s nothing boring about where that path led him. As a believer who has been on a similar journey, I can confirm that living out God’s will is the adventure of a lifetime!" "Ward opens his heart in this inspiring book and talks vulnerably about how he found his core significance by following Jesus. What great joy there is in realizing that life isn’t about how much we can accomplish or how busy we can be but about loving God and our neighbors with everything He’s given us. This book is a must read. You’ll be encouraged and challenged by it." "Much like Ward before his transformative first trip to Africa, a trip he didn’t even want to take, I didn’t really want to read this book. I thought I already knew his story inside and out. However, after I began reading about his journey of faith, I was captivated, inspired, and motivated to continue reaffirming my faith on a daily basis." "Ward Brehm has had a remarkable and inspiring journey. In Bigger Than Me, he graciously shares what he has learned along the way. Just as his faith and his work in Africa have transformed his life, reading his words can transform ours." "Rather than just talking about a purpose-driven life, Ward Brehm has actually lived one. From his more than fifty trips to Sub-Saharan Africa working on creative solutions to extreme poverty to acting as an unofficial ambassador for Jesus in Washington, DC, Ward’s life is a rarity in today’s world: a life of faith based on relationships verses transactions. He can be trusted. In Bigger Than Me, Ward lays out much wisdom for every age." "The most important things in life are not what we acquire or achieve but the fingerprints we leave behind on other people’s lives. Ward Brehm leaves some great fingerprints in Bigger Than Me." "Reading this book, I was reminded that our most healthy posture in life is receiving mentorship from those who have traveled ahead of us, while mentoring those who come along behind. 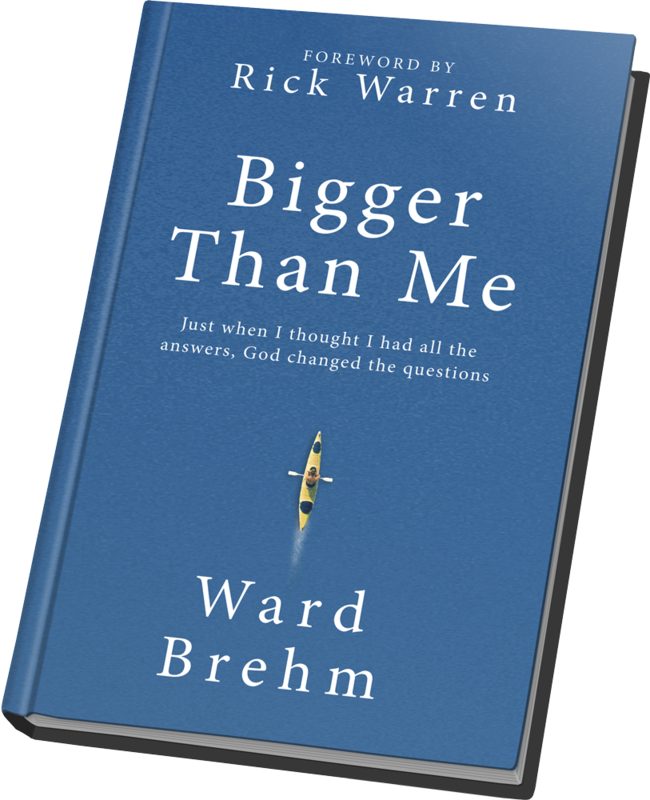 In Bigger Than Me, I find Ward Brehm there—a recipient of tremendous experience and knowledge (the book is rightly dedicated to his mentors) and also a generous conduit of wisdom and hard-won insight. This book is more mentorship than memoir, beautifully so, and has the candor of a friend showing the way." To download a sample of Bigger Than Me, insert your email below. Ward Brehm is a Twin Cities entrepreneur, leader in African humanitarian efforts, and nationally-known public speaker and commentator on relief and development in Africa. He was awarded the Presidential Citizens Medal for his work in Africa by President George W. Bush in 2008. Recently retired, Ward is now a full-time humanitarian. He and his wife, Kris, live in Wayzata, Minnesota.